A homemade authentic lime cream white sauce make this chicken enchiladas casserole the best! 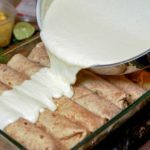 Today, I’m soooo excited to share with you my all time favorite chicken enchiladas casserole recipe with whole wheat tortillas wrapped around a hefty portion of tender chicken, black beans and corn filling and smothered in an amazing lime cream sauce. 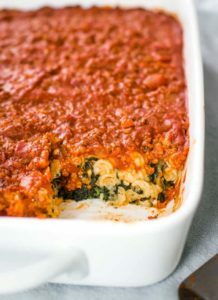 The sauce alone is worth every effort put into this casserole! Meatloaf and enchiladas have something very big in common. Say what? Yep, they are like sisters. Everyone has their own version of them! 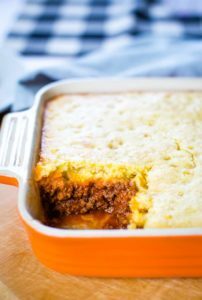 I think of “mom’s meatloaf” as much as I think of “so and so’s enchiladas.” There are numerous ways to make both dishes and each recipe has its own story. The art of enchiladas, for example, takes us back to the Mayan people of Mexico who rolled corn tortillas and topped them with a tomato or chili sauce. Fast forward several hundred years later and the concept is relatively the same! 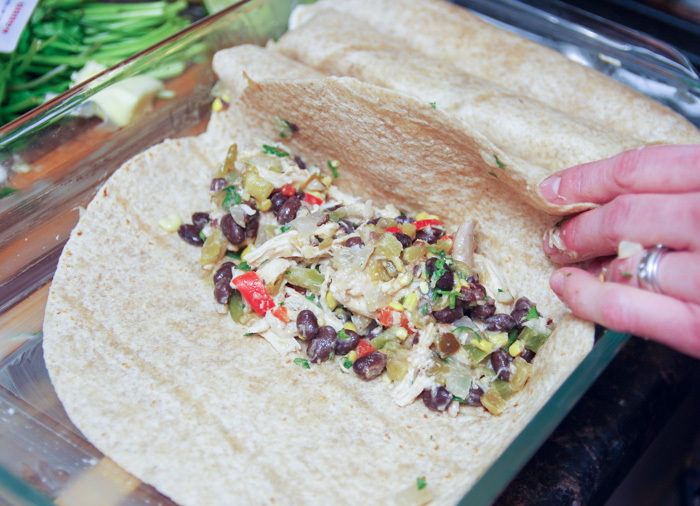 We wrap tortillas around a variety of vegetables, meats, cheeses or beans and top them with sauce before they hit the oven. This recipe is not a quick one, but I can not imagine omitting a single step. We think the flavor combinations are outstanding. 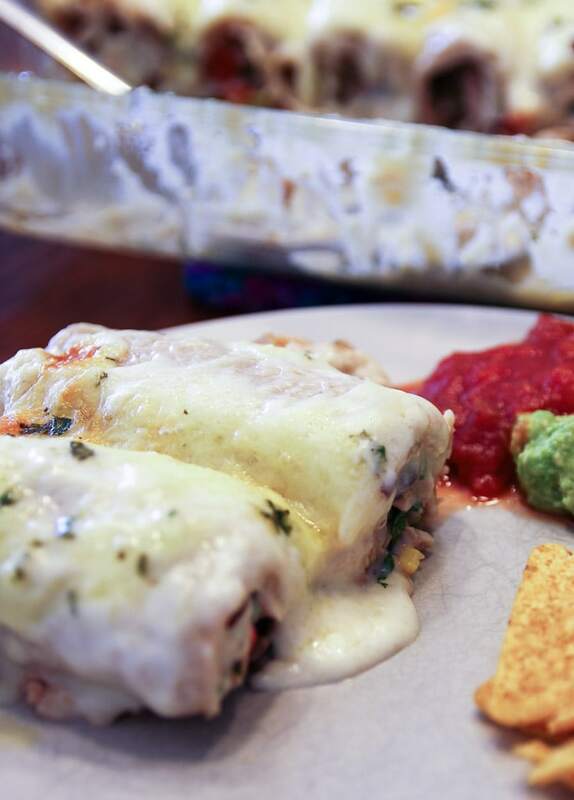 Not to mention, these enchiladas hold up well in the oven, can be made ahead or even frozen for a special friend. After one bite, they will feel your labor the love! 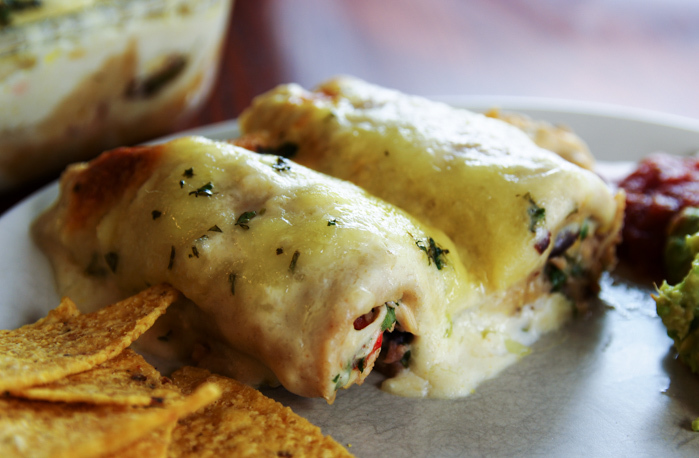 Are you ready to make a homemade chicken enchiladas casserole with me? 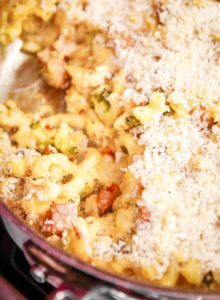 The recipe is basically made in three steps – filling, sauce and putting it all together. 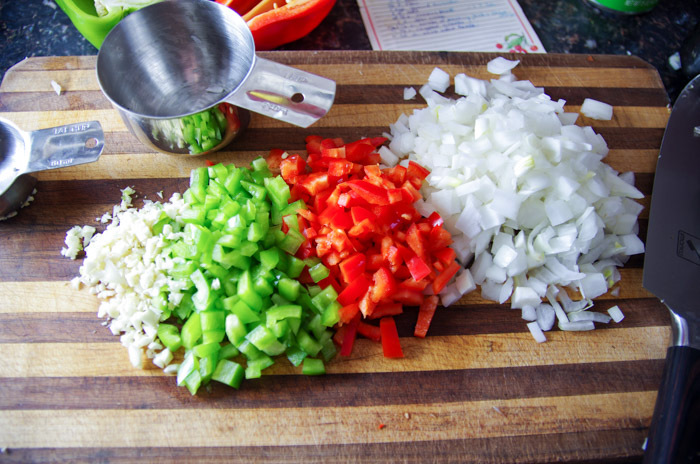 To begin with the filling, chop 1 1/4 cups onion, 1/2 cup red bell pepper, 1/2 cup green bell pepper and mince three cloves of garlic. Meanwhile, rinse and drain 1 – 15 oz. can of black beans. Don’t skip this step! 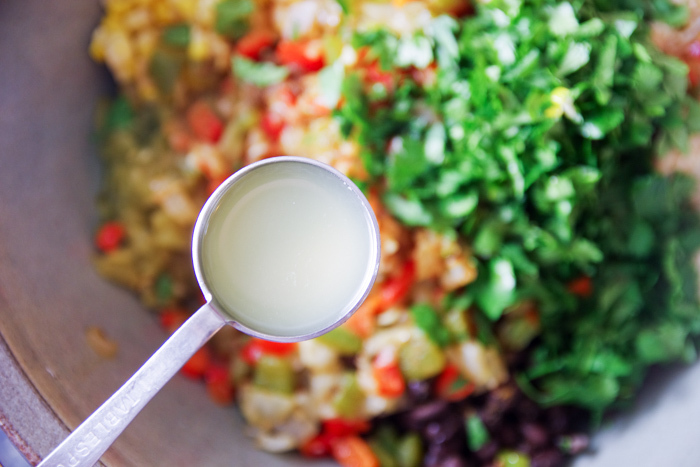 We don’t want the extra liquid or flavors of the bean water in our enchiladas. In a large bowl, combine the beans, 1- 4oz. can of chopped green chilies, 4 cups of cooked, shredded chicken (I like to use a combination of white and dark meat) and 1/2 cup frozen sweet corn. Stir in your sautéed vegetables along with in 1/2 cup chopped cilantro, 1/2 tsp. cumin, 1/2 tsp. salt, and 1 T. fresh lime juice. Now for the sauce! The process involves more than dumping out a can of red or green enchilada sauce, but I promise you that it will be worth it! 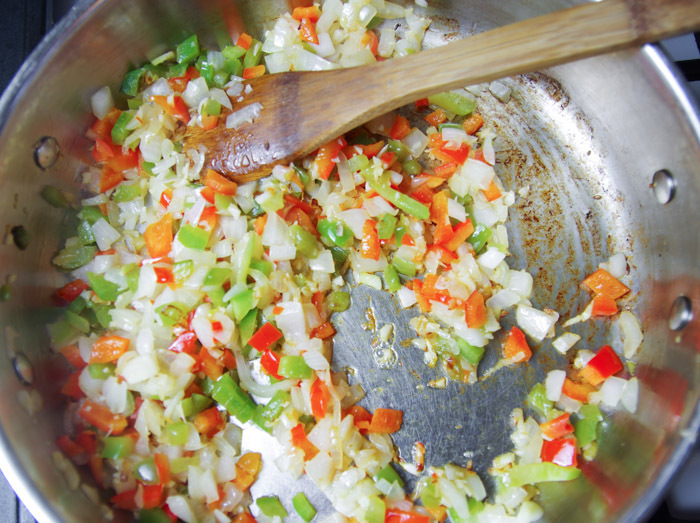 In the same saucepan that you sautéed your peppers and onions, melt another 3 T. of butter. Oh Yeah. Next, add 1/4 cup white flour, 1 tsp. ground coriander and 1 tsp salt. Stir it around until it clumps together and then cook it for two minutes on low to medium heat just like you see here. When the two minutes is up, whisk in 2 1/2 cups chicken broth and cook it until it is smooth and bubbling. 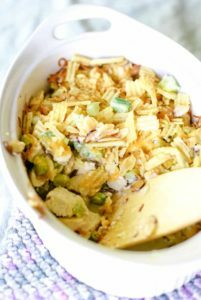 Finally, turn off your heat and whisk in 1 cup sour cream, 1/2 cup shredded Monterey jack cheese and your second T. of fresh lime juice. Give er’ a taste and you will see what I mean about this sauce! 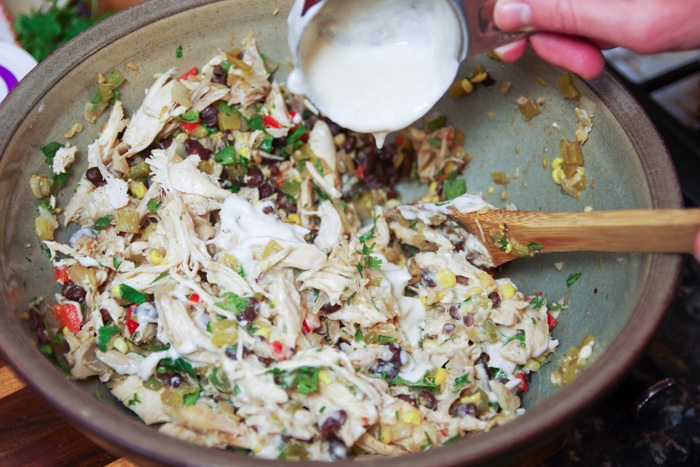 Pour 1/2 cup of the cream sauce into your bowl of chicken, beans and vegetables. We do this so that the filling is moist inside the tortilla. Grease a 13×9 casserole pan with either more butter 😉 or a bit of the sauce. Fill 1 – 10 inch tortilla with a heaping 3/4 cup of filling. Roll the tortilla into the pan and tuck in the sides. Repeat this 7 more times until you have 8 filled tortillas. 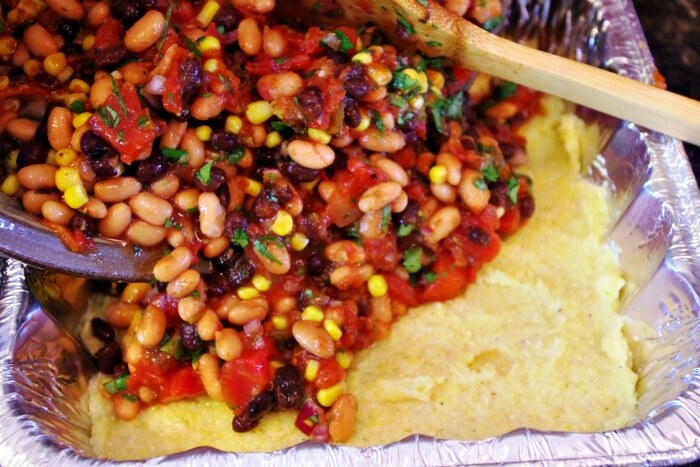 One serving is one tortilla – they are stuffed! Pour the remaining cream sauce on top of the filled tortillas and top with the last 1 cup of shredded cheese and 1/4 cup chopped cilantro. At this point, if you are not going to bake it right away, seal it and either refrigerate it up to two days or freeze it for up to 3 months. 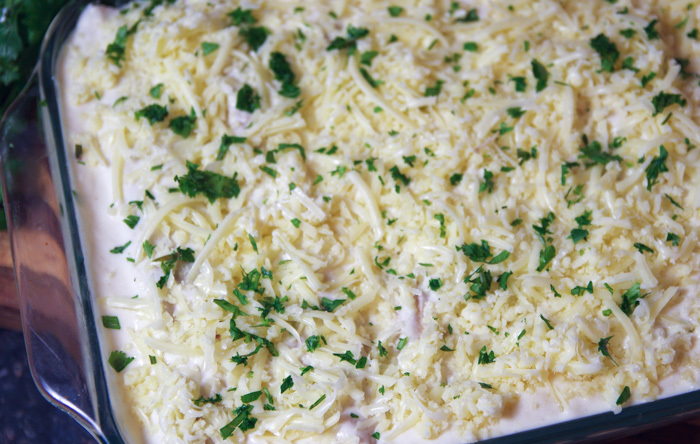 Bake a thawed casserole in a 350 degree oven for 35 – 40 minutes or until golden and bubbly. A homemade authentic white sauce make this chicken enchiladas casserole the best! In a saucepan, saute the onion, peppers and garlic in 3 T. butter on medium heat for 5 minutes. Meanwhile, rinse and drain 1 – 15 oz. can of black beans. 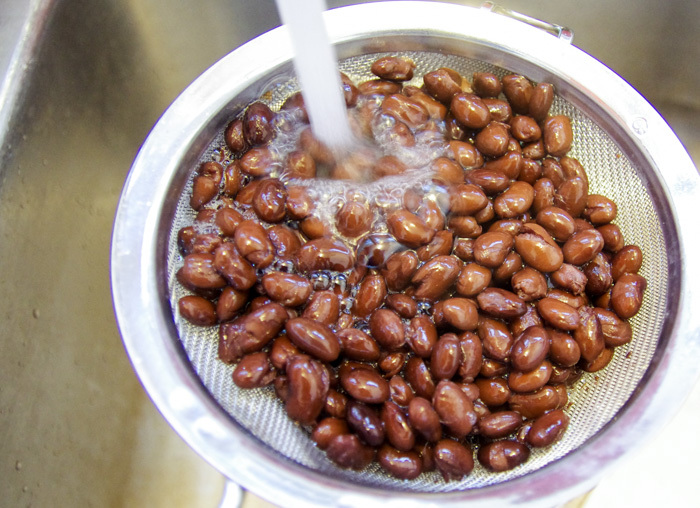 In a large bowl, combine the beans, 1- 4oz. 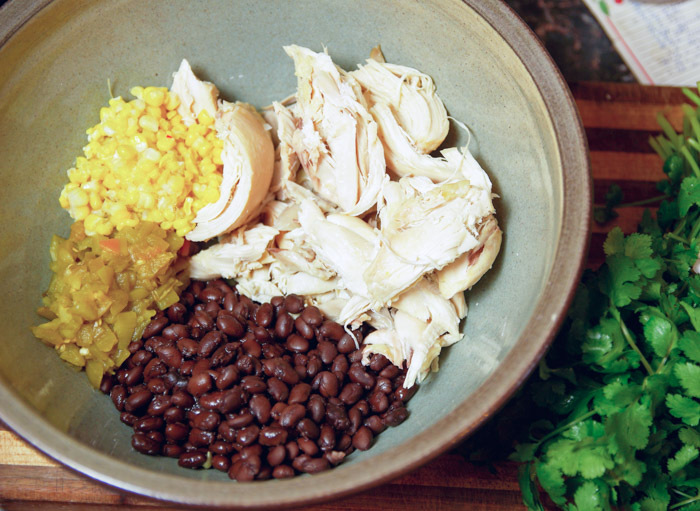 can of chopped green chilies, 4 cups of cooked, shredded chicken and 1/2 cup frozen corn. Stir in the sautéed vegetables , 1/2 cup chopped cilantro, 1/2 tsp. cumin, 1/2 tsp. salt, and 1 T. fresh lime juice. In the same saucepan, melt 3 T. butter. Whisk in 1/4 cup white flour, 1 tsp. ground coriander and 1 tsp salt. Cook this flour mixture for two minutes on low to medium heat. Whisk in 2 1/2 cups chicken broth until smooth and bubbling. 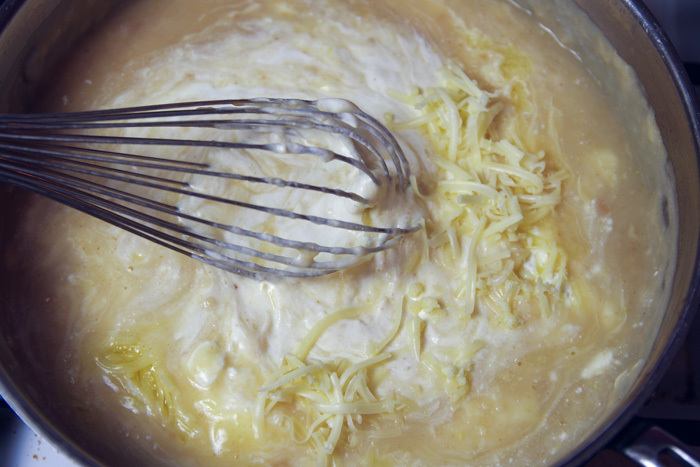 Then turn off heat and whisk in 1 cup sour cream, 1/2 cup shredded Monterey jack cheese and another T. of fresh lime juice. Stir in 1/2 cup of the cream sauce into your bowl of filling. 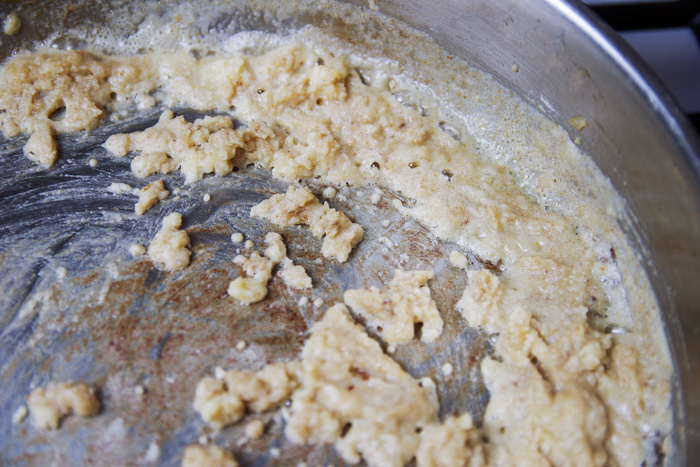 Grease a 13×9 casserole pan with either butter or a bit of the sauce. Fill 1 – 10 inch tortilla with a heaping 3/4 cup of filling. Roll the tortilla into the pan and tuck in the sides. Repeat this 7 more times until you have 8 filled tortillas. 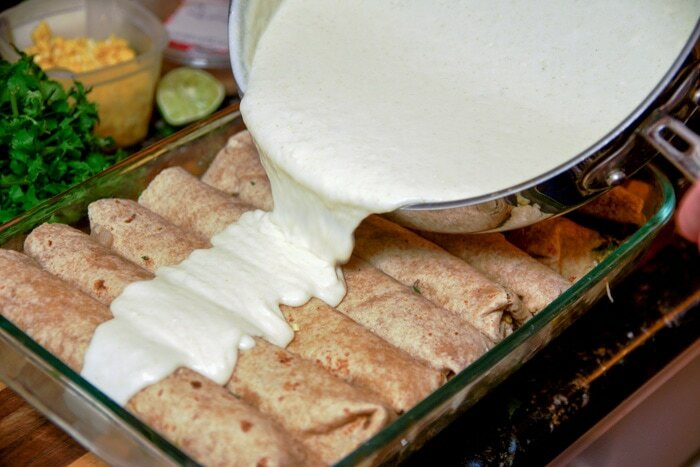 Pour the remaining cream sauce on top of the filled tortillas and top with 1 cup of shredded cheese and 1/4 cup chopped cilantro. Bake in a 350 degree oven for 35 – 40 minutes or until golden and bubbly.